iRobot is known for its line of Roomba robotic vacuums along with the Braava mopping robots and Mirra pool cleaning robots. And now the company is getting ready to launch the Terra robot lawn mowers. 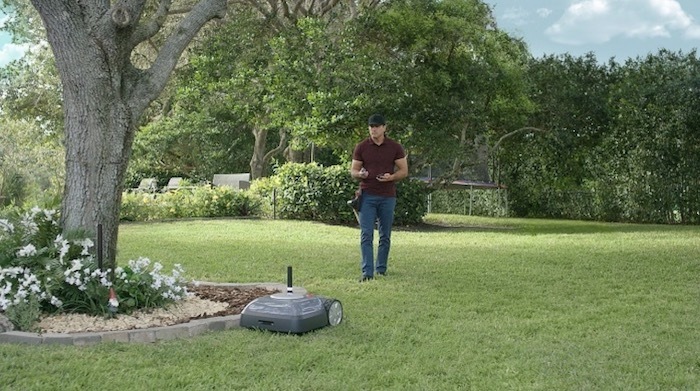 And with the Terra, iRobot is bringing its Imprint Smart Mapping technology to the lawn. Using the iRobot HOME App, users will be able to schedule and customize mowing preferences. Terra will be able to mow lawns as people do. For example, it will be able to intelligently navigate a yard cutting efficiently in straight and back-and-forth lines. Plus it is able to remember where it is in the yard and where it still needs to cover. Once the Terra robot’s battery runs low, it will return to the base to recharge and then continue mowing until the yard is finished being mowed. And with the iRobot Home app, it can also control when the law is cut base don the height of the grass and the time of day. Initially, the iRobot Terra robot mower is going to be available in Germany and it will arrive in beta in the U.S. later this year. The pricing and availability is not yet known.